The Trance Pioneers series continues to gain momentum focusing on artists that have stamped their own unique sound and style indelibly on to the trance scene as we know it. Volume 5 focuses on Activa. An often quoted favourite of Paul van Dyk, he has found himself also regularly on the playlists of Armin van Buuren, Above and Beyond and John O'Callaghan to name just a few. With a host of singles, two solo artist albums and several compilations under his belt, he is as prolific as he is talented. Having previously helped to run Conspiracy Records, he now has his own Borderline Records imprint whilst also heading up the a & r team at Discover Records. This 20 track collection focuses on key solo tracks throughout his production career, several collaborations and also some remix highlights. 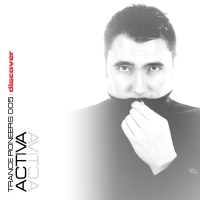 Speading across nearly 8 years of production, each track sounds as fresh as ever whilst the album itself delivers a timeless insight into the production powerhouse that is Activa! 'Trance Pioneers 005' is available now from Beatport and iTunes.